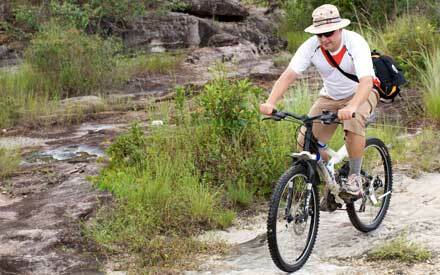 Adventure tours include various activities and soft-adventure components such as jungle treks, mountain bike tours or homestays with Cambodian families and guarantee not only first-hand natural and cultural experiences, but also many opportunities to interact with the local communities.All our itineraries and tours can be changed to suit your needs. The mentioned tours are therefore sample itineraries. Discover Siem Reap, the temples of Angkor and the surrounding countryside actively and immerse yourself into Khmer culture. Discover the natural beauty of some of Cambodia’s most remote areas first hand. 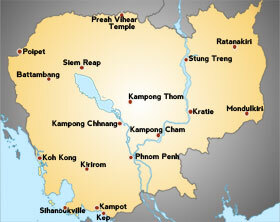 This varied round trip is a unique opportunity to experience the land and culture of the Khmer first-hand. Soft adventure components, including an elephant ride, a homestay in a minority village as well as boat and cycling tours.